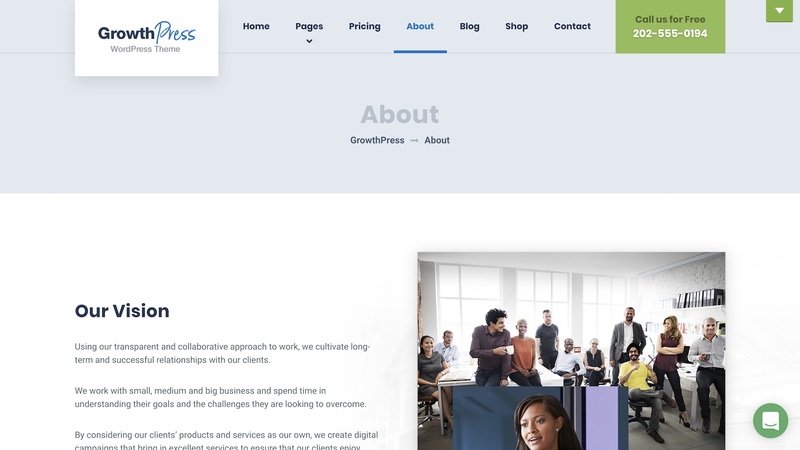 GrowthPress is a niche Marketing and SEO WordPress Theme from ProteusThemes. It is the ideal theme for promoting products, services or online courses. 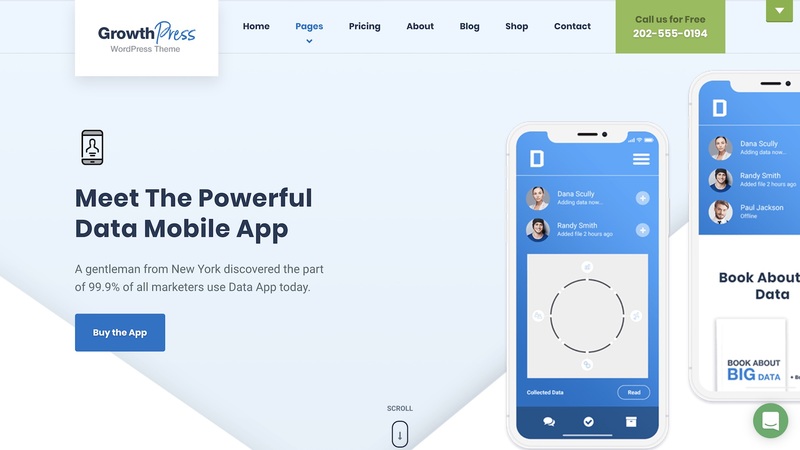 GrowthPress offers both wide and boxed layouts, with a mobile-friendly design that adjusts to all devices and resolutions dynamically. 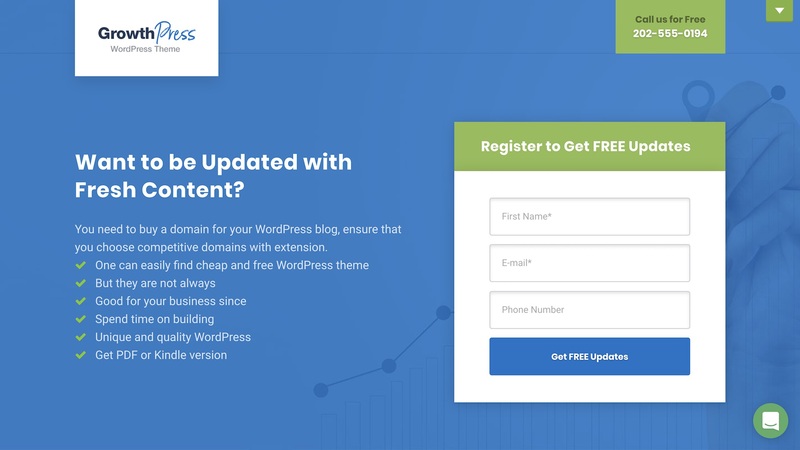 The WordPress Customizer offers GrowthPress specific settings. Upload a retina logo, switch layouts and change colours to suit your company's unique look and feel. 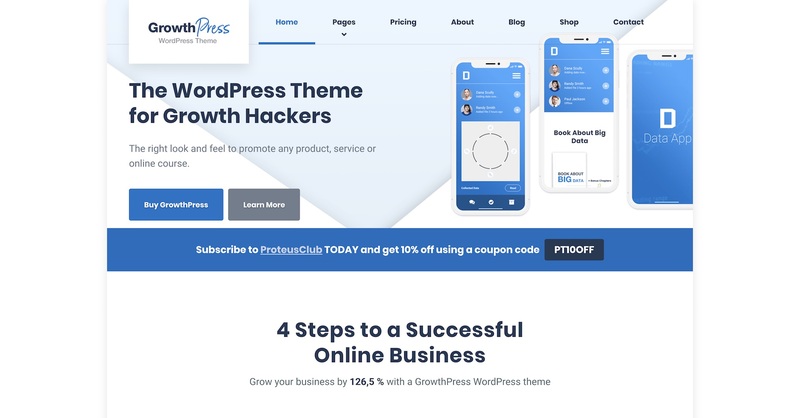 GrowthPress includes the power of ProteusThemes One-click Demo Import plugin, giving you a head start on your content creation by importing all available content from the live demo. 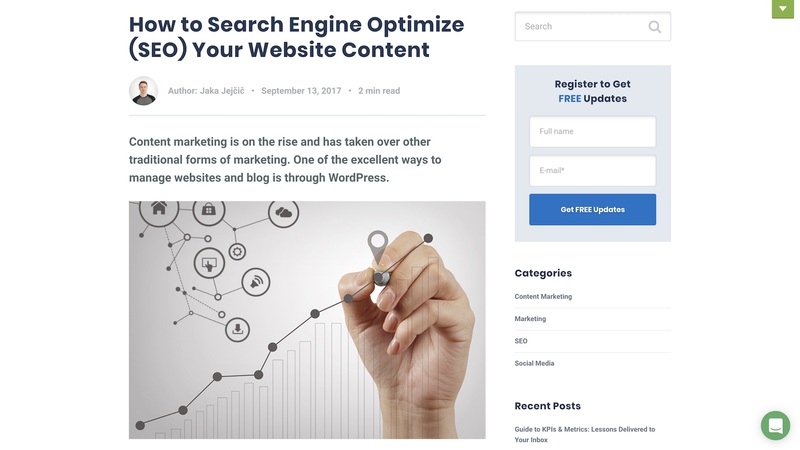 Replace the default content, with content of your own and your good to go. 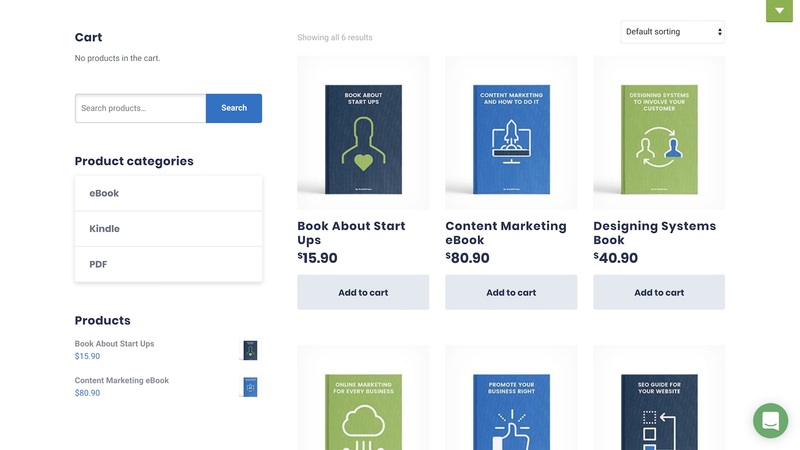 The demo content includes a variety pages to get you started, including a homepage, pricing page, about page, contact page and shop page. 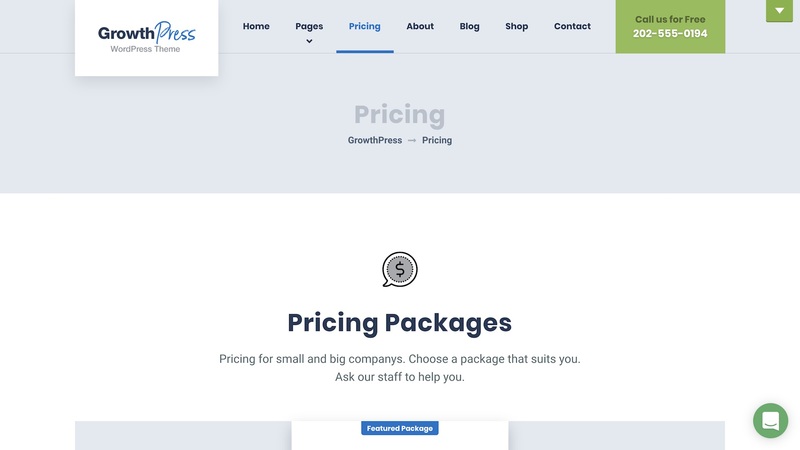 GrowthPress also offers a Landing Page, perfect for product showcasing and a Sales Page free from navigation bars, and designed for one specific goal - convert visitors into subscribers or customers. 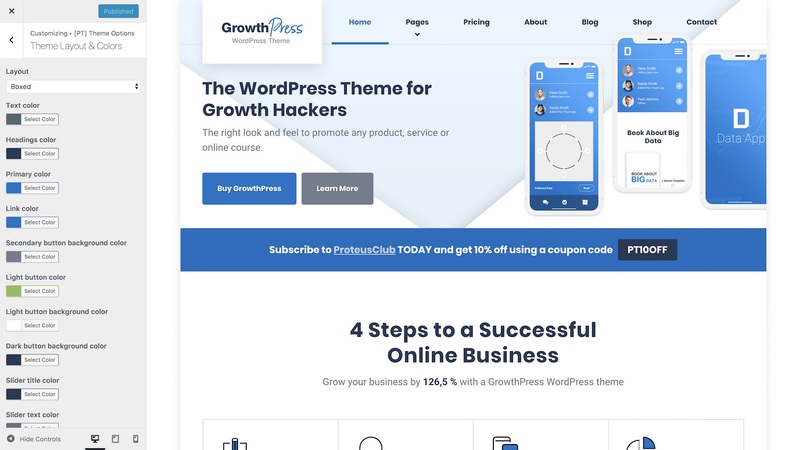 Each GrowthPress page is built using SiteOrigin Page Builder, offering an intuitive drag and drop interface for maximum control over your page layouts. 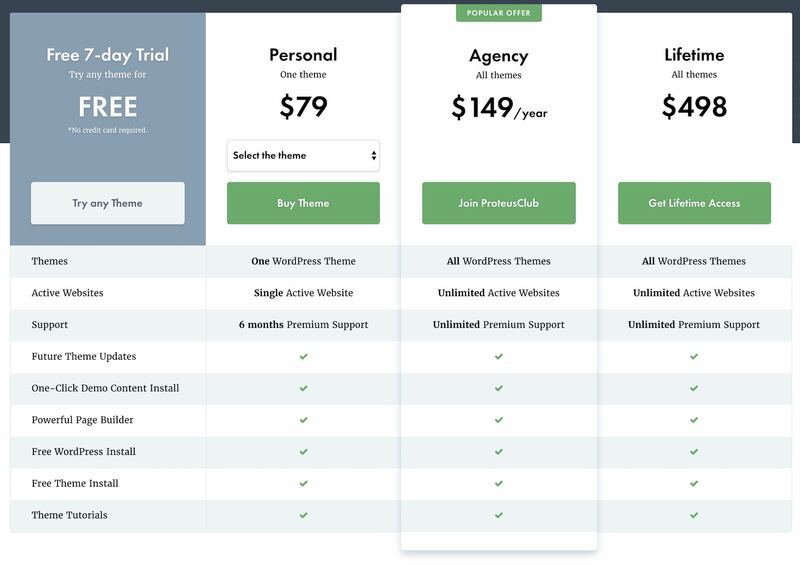 Adding rich content to your pages couldn't be simpler with custom ProteusThemes widgets. 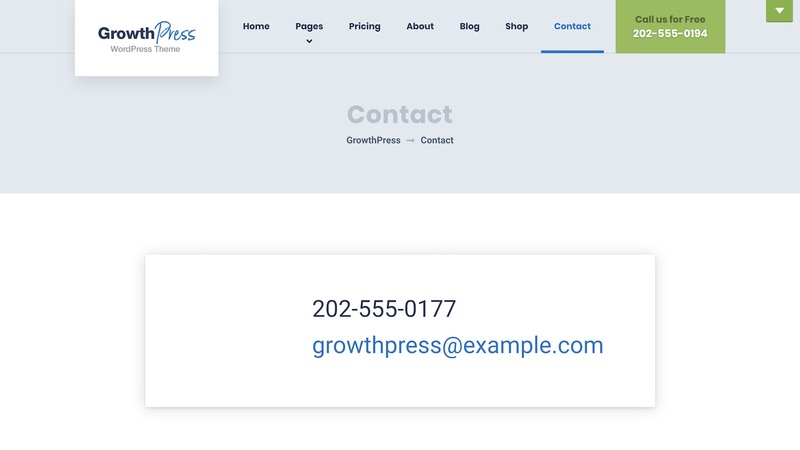 From testimonials and accordion widgets, to lead generator forms and pricing tables, GrowthPress has it all. 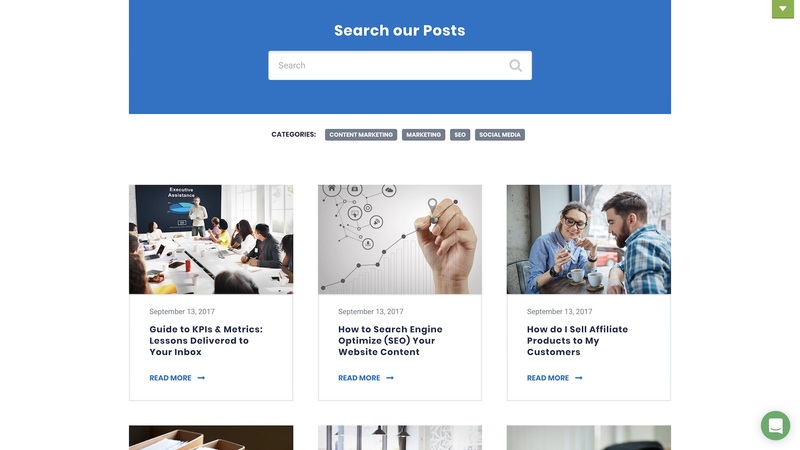 The Blog page is designed for easy access offering quick search and category filters. 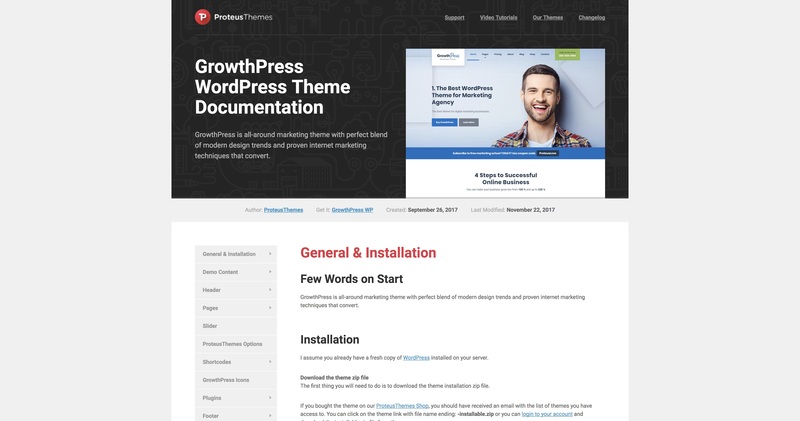 GrowthPress is well documented covering all aspects of the theme configuration and guiding you through the installation and demo import process. 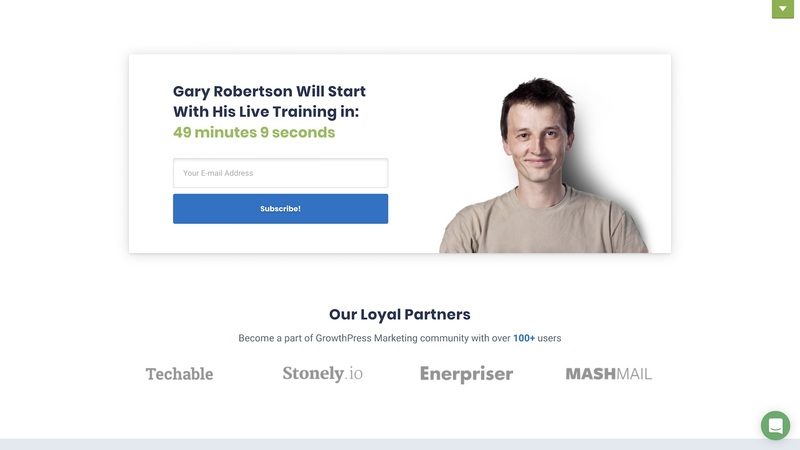 And that’s GrowthPress. 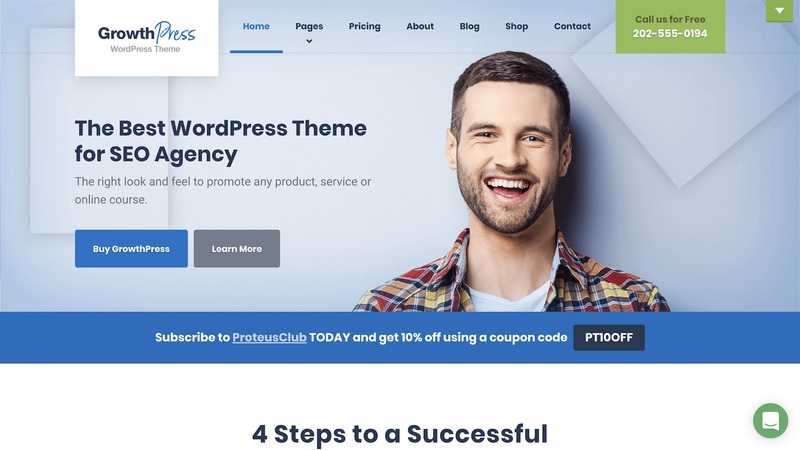 The perfect WordPress theme for promoting products, services or online courses.